This clear language regarding the contents of the rights to water and sanitation is drawn from definitions set out by the UN Committee on Economic, Social and Cultural Rights. These are the water advisory classifications. There are just over 600 First Nation communities in Canada and “at any given time one in five of these communities are under a boil water advisory.”  Some of the advisories are short in duration, while some communities have endured long-term (over 12 months in duration) DWAs for over twenty years. How is it that people on-reserve have suffered through sometimes decades of having to boil water before drinking it, bathing in it, or cooking with it while neighboring communities enjoy safe, clean water? The answer lies in the fact that there are no drinking water regulations for reserves. There are guidelines, protocols, and lots of information about how to what to do and not to do under a DWA but no regulations. There was an attempt in 2013 by the Conservative government to introduce regulations. The Safe Drinking Water for First Nations Act (SDWFNA) came into force on November 1, 2013. Many of the on-reserve water systems have not been updated to meet the demands of a growing population. Additional on-reserve housing units cannot be added without upgrades to the water and wastewater infrastructure. Overcrowding in on-reserve housing is common on many reserves which places extra strain on inadequate sanitation systems. 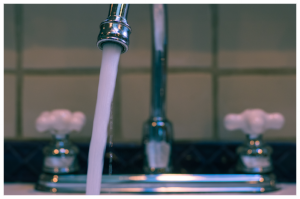 Exposure to waterborne contaminants such as e. coli have health impacts that include gastrointestinal disorders, the increase risk of cancer, and recurring skin infections. Struggling under long-term DWAs leaves people frustrated, scared, and desperate, not to mention exhausted from caring for family members, young and old, in crowded, unhealthy housing. There is a social cost as well. Bathing is limited and clean laundry is a challenge. The above provides readers with a snapshot of on-reserve clean water issues. Help is on the way but it will still take time. Next time you turn on the tap for a glass of water appreciate the ease of quenching your thirst and the security of knowing that it won’t make you ill. This free, downloadable ebook takes a look at 9 myths and explores the realities of those myths. It’s a great resource for anyone who wants to look beyond common myths and misconceptions to the realities about Indigenous Peoples in Canada. Dispelling these common myths for participants of our on-site and public training is important work in gaining cultural competency. Click the image to grab your copy.